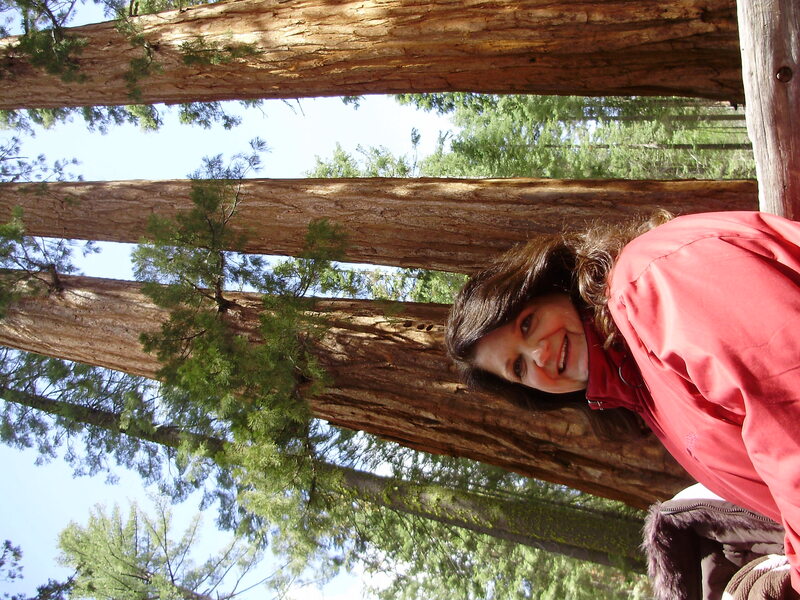 « Across Utah and Nevada and Sherrylee’s Amazing Escape! Don’t Go To Yosemite By Yourself! We have always wanted to go to Yosemite, but to be able to see it for the first time with our daughter Emily and the three gkids was just more wonderfull-ness than can be described. On Tuesday this week we all packed up and drove into the park. 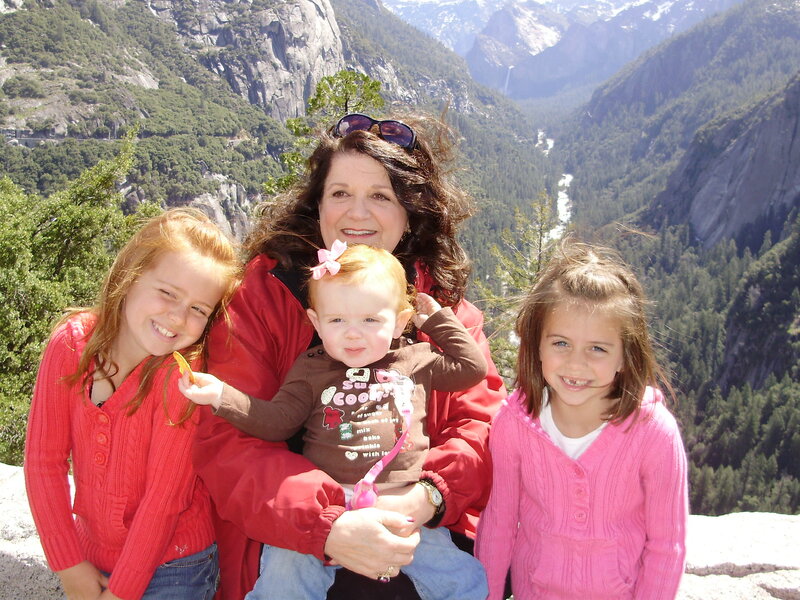 Only Sherrylee and little Norah got carsick on the winding, mountain roads! But we stopped often enough to avoid in-car disasters. Driving through Yosemite valley was breathtaking! Many of the roads in the park are not yet open, but we were able to do the entire valley loop, seeing Half Dome, Bridalveil Fall and many other lesser falls. They say the falls this year will be extraordinary because of all the snow during the winter. 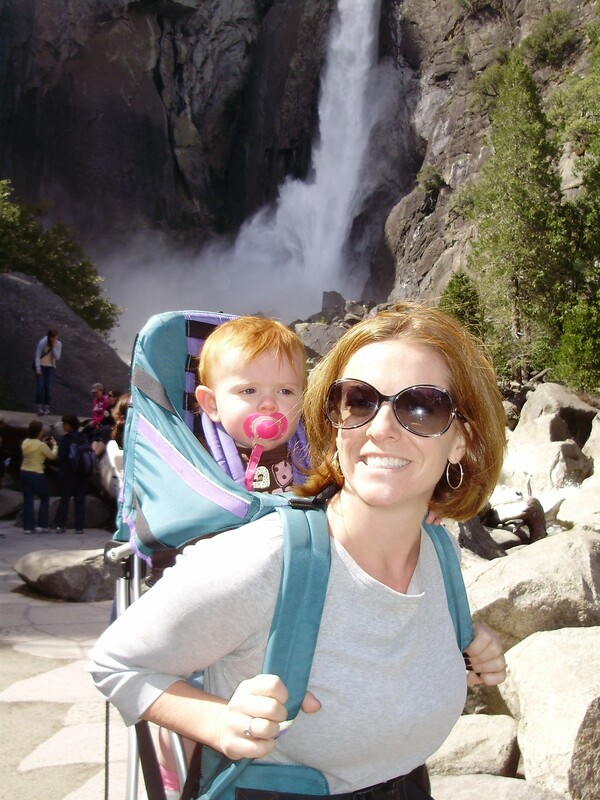 Our favorite adventure was hiking up to the Lower Yosemite Fall—actually, hikingis an exaggeration. We walked a very well-paved path, the girls jumping on every boulder or trying to walk every downed log near the path. At the bottom of the falls, the enveloping spray made the moment cold and damp—but one never to be forgotten. On Wednesday, we decided to stay in the vacation rental in Groveland. As they drove in on Monday, Anna (8) had seen the large Iron Door Saloon sign—the oldest saloon in California—and she declared, “Oh, I love saloons!” She didn’t get that from her grandparents—but we had no choice but to eat there. The girls spent most of the day collecting “jewels” which were really quartz stones in various colors. Olivia decided they were now rich—which her dad will be glad to hear! Sherrylee and I had rented the house through Friday, but Emily needed to get home Thursday to help Tim with the Good Friday service and preparations for Easter. We all wanted to see the giant sequoia, but they were too far away to do and return to our house in Groveland. Emily and I decided that she would see the trees on Thursday on her way home, and we would finish our rental, then see them on Friday as we drove to her house. Sherrylee heard the plan and thought we were crazy. She said we just needed to leave together—that being together was the most important thing—and she was right! That’s what we did. We packed up a day early, left together and spent a wonderful couple of hours seeing creations of God that truly deserve the word awesome! We only saw what we could easily walk to with the children, but to think that some of these trees were seedlings about the time Israel was going into captivity. Others could have been planted by King David—that’s how old these trees are. One cluster of sequoia is called The Bachelor and Three Graces. Nobody wants to be alone. My understanding is that the sequoia are all connected via a root network. They are really a family of trees, quite interdependent on each other. I like that. You know, God didn’t create Yosemite alone. He had his co-parts, the Word and the Spirit, and maybe the angels—I don’t know about that. When he wanted to bless the world, he created a whole nation of people to walk out of Egypt. Jesus didn’t walk around by Himself either. Paul took an entourage wherever he went on his missionary journeys. It wasn’t good from the beginning for Man to be alone! We need family, we need neighbors, and we need the community of saints. God just doesn’t do things by Himself! what a blessing to travel with family in nature like this – thank you for sharing!